Small - $146.99 Only 6 left! Medium - $146.99 Only 7 left! Large - $146.99 Only 3 left! X-Large - $146.99 Only 3 left! Okay, okay. Just admit it. You can hear it in your head already. Ba ba ba ba ba ba ba ba ba… yep, it's The Imperial March. You've always paid a little extra attention when you've heard it before, but now it's basically like your own theme song whenever it comes on. You know what's going on here. Come on, just say it out loud and admit it. You're ready to join the Empire! Hey, it's not necessarily a bad thing. Not at all! Because someone needs to help Darth Vader command the Death Star. We know it's a pretty big plot point, and someone has to do it. Because otherwise, how are the Rebels going to save the day if they don't have villains to defeat? You got this. The Death Star is big, and we're sure it takes lots of really good, top-notch officers to keep things in order. You know, folks just like you! So. 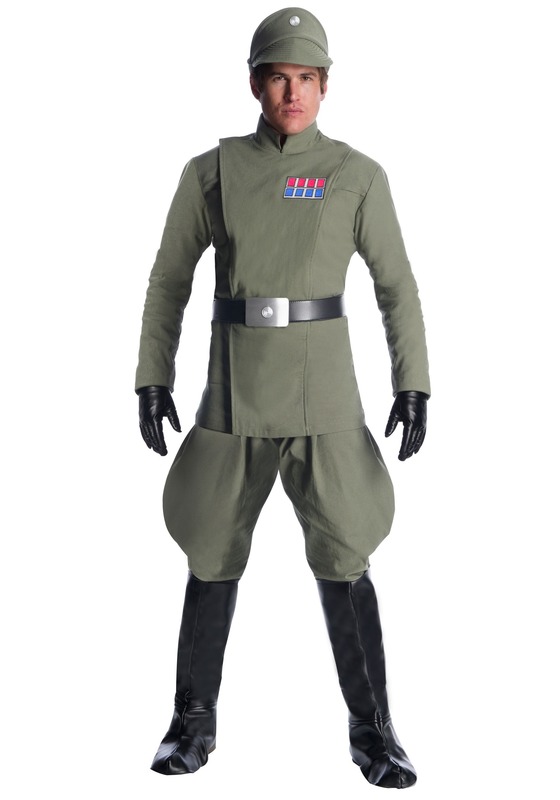 Step Up, suit up, and become an Imperial command officer with this premium costume. This Star Wars Premium Imperial Officer Men's Costume Will have you styled just like an imperial officer. Because it's designed straight from the costumes used in our favorite Star Wars movies! That means it's officially licensed by Lucasfilm and Disney and has all the details that matter.